Today, there are more and more people traveling abroad,but the specifications of each country is different.What we needed is an easy to use universal converter. that's how and why The Lezgo international travel adapter was created! With professional technology,high quality certification,portable size and universal compatibility,you can be confident that The LezGo travel adapter is the plug solution you've been looking for charging your electric device. 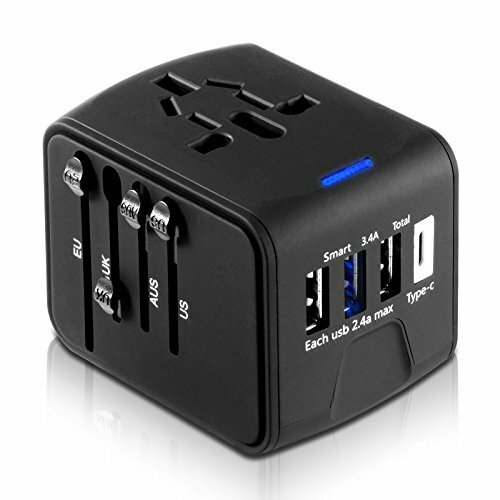 1.LezGo travel adapter does not convert voltage(AC-AC),in order to avoid possible damage to your device or other safety hazards, please make sure the power outlet you intend to use has the proper voltage to run your device BEFORE using this travel adapter. 3.No grounding, this travel adapter is for use with unearthed or double insulated appliances only.